Thirty percent of all businesses that have a major fire go out of business within a year. Seventy percent fail within five years. These frightening statistics clearly indicate a pressing need for companies to do more to protect their sensitive data than simply to invest in insurance, which is often not sufficient protection. It's not simply possessions that you need to protect, but also sensitive information that could otherwise end up in the wrong hands. The vast majority of businesses and homes now have computers and other electronic media devices. 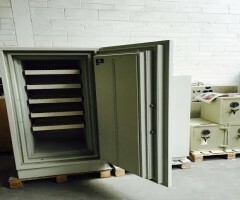 A fire data safe or cabinet (for large volume storage) is specifically designed to store not just paperwork and documents, but also vital and irreplaceable computer media and back-ups, such as 3.5" diskettes, DAT tapes, CD ROMs, Zip drives, negatives and VHS tapes. Fire data safes are suitable for any valuable plastic or man-made materials. Computer media is more vulnerable to heat than paper documents are. 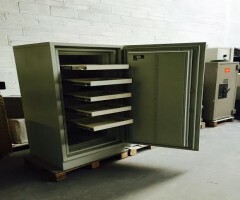 Fire data safes offer greater protection from fire than fire document safes, as they maintain a temperature of 52°C or less for a specified time period. At temperatures greater than 52°C computer media can become corrupted or be destroyed. Fire data safes range in terms of the time they will maintain this low temperature and protect your data. The fire resistance is usually given in minutes, and typically the range is 60, 90, and 120 minutes. Quinlan Safe Company carry a wide range of safes for Data/Document protection. 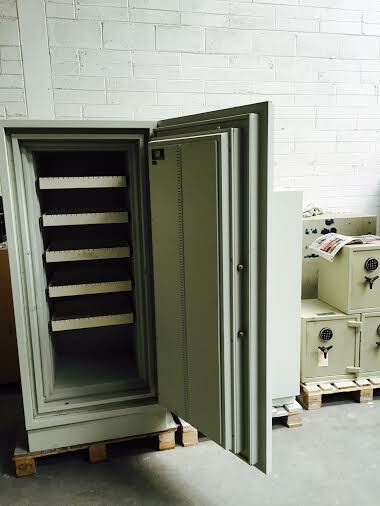 All safes come with adjustable pull out shelves and high spec locking, key or digital." "For more information or assistance, please call us on (01) 842 7227.